Hey guys! 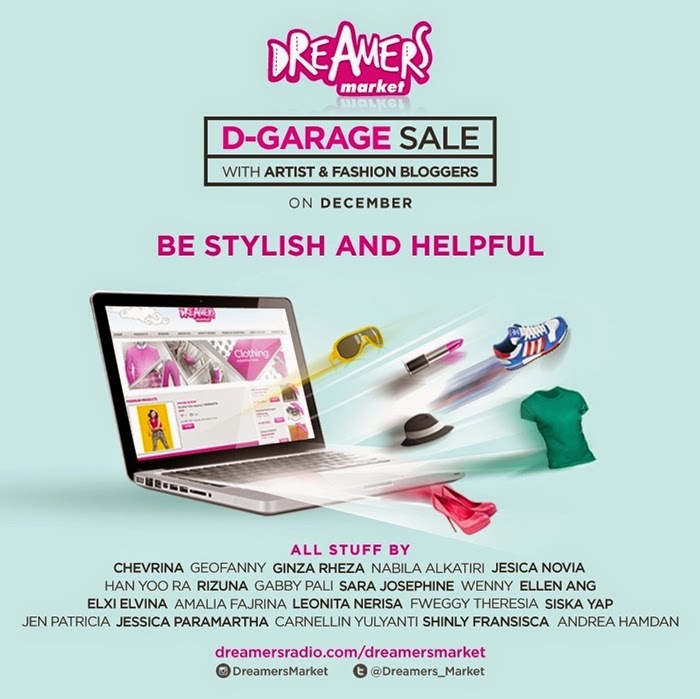 I'm joining D-Garage Sale with other artist and fashion blogger held by Dreamers Market Dreamers Market is a container in the form of an e-commerce website or an online-based webstore, where they provide a wide variety of products from many brands locally and abroad that are always up to date, quality and exciting. You can find my preloved items and other bloggers such as Sartob, Amalia Fajrina, Andrea Hamdan, etc there. With buying our stuffs, you can be stylish and helpful too. Because 25% of profit from goods that sold will goes to charity. Thank you for sharing.. what an interesting event..
Look a very interesting event!